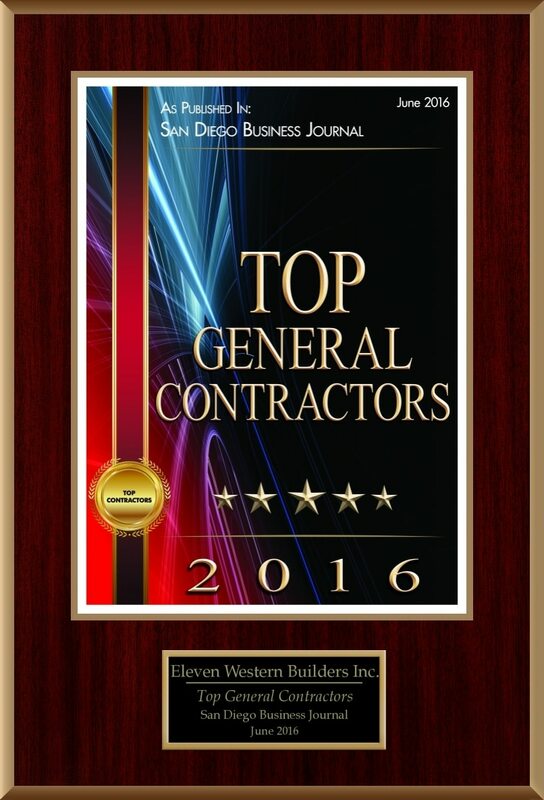 Publications Archives | Eleven Western Builders, Inc.
Eleven Western Builders has been named a 2016 Top General Contractor by the San Diego Business Journal! Did you see our ad (pg. 25) in American Builders Quarterly (April, May, June 2016 Volume 10 No. 61)? If you don’t receive American Builders Quarterly, please visit their website to sign-up. Eleven Western Builders will be featured in next quarter’s issue!